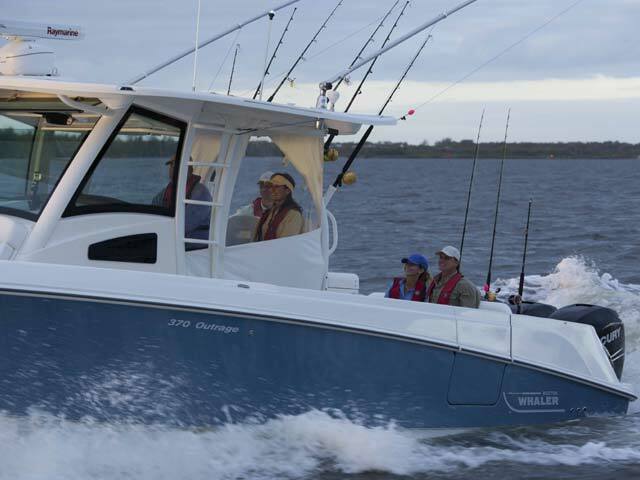 There’s no shortage of reasons why Boston Whaler’s impressive 370 Outrage earned a coveted NMMA Innovation Award and was named European Powerboat of the Year. 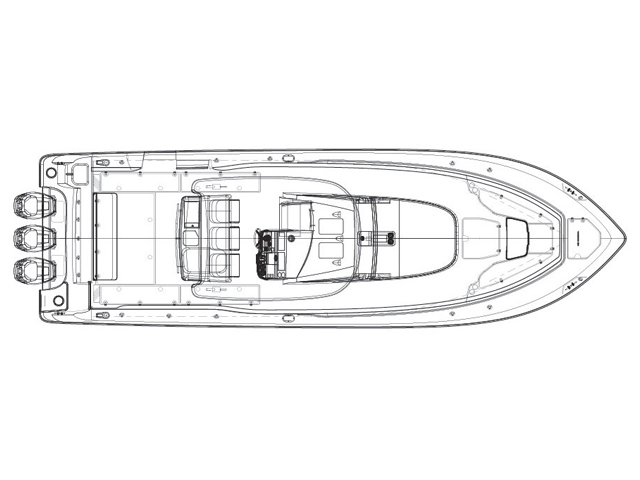 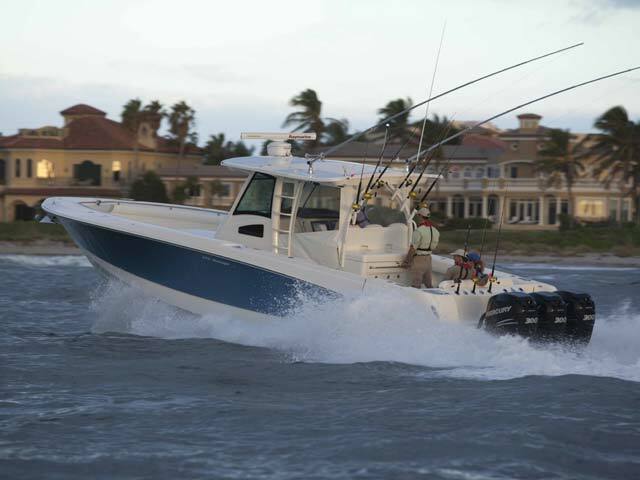 Outstanding as both an offshore fishing boat and an entertaining vessel, and exceptional as a yacht tender, the 370 is big on space, comfort and luxury. 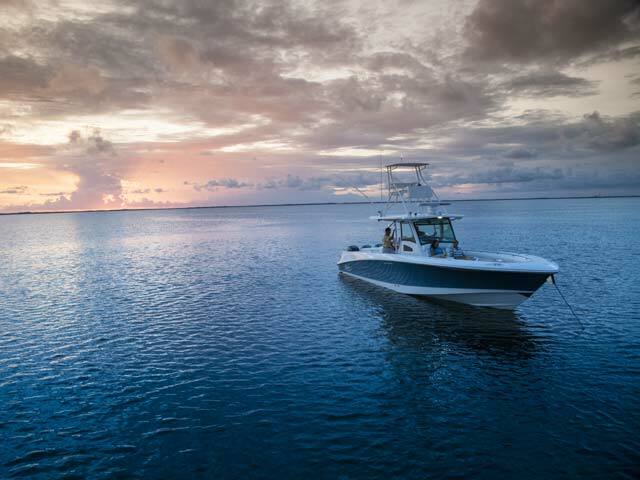 The devoted angler will appreciate the multipurpose leaning post, with a pressurized livewell, tackle storage, refrigerator/freezer, sink and grill. 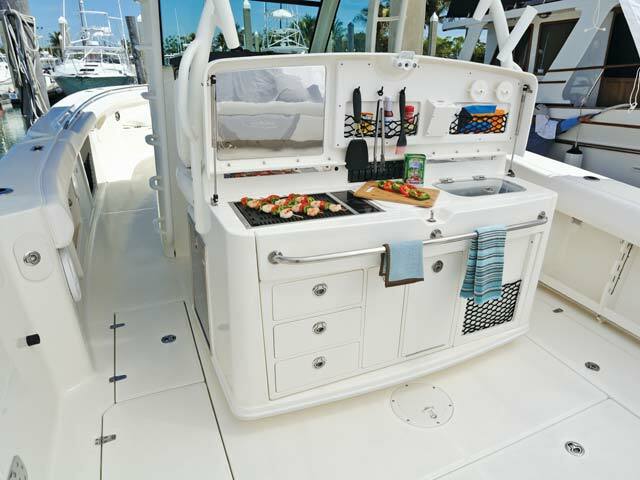 An optional Summer Kitchen swaps the livewell for another fridge and an electric single-burner stove. 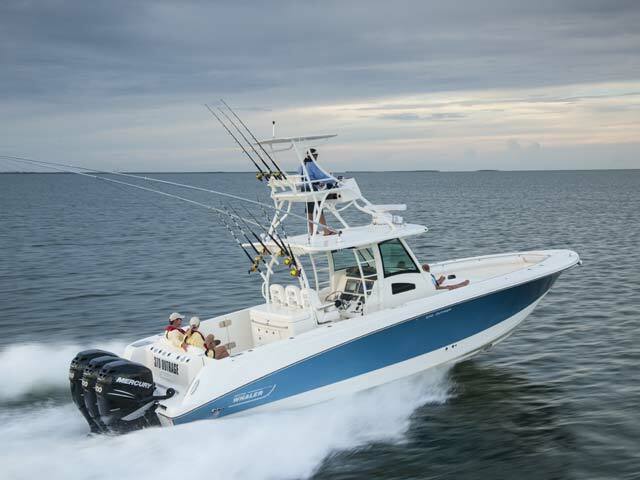 The helm impresses with an electrically adjustable captain’s seat and hardtop-windshield system, as well as available Mercury Joystick Piloting, for ultimate confidence when cruising even the roughest ocean waves. 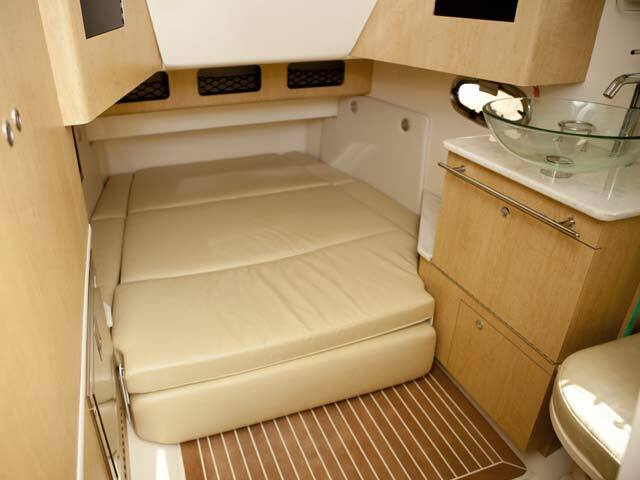 The 370 Outrage’s spacious cabin hosts a double berth, HDTV, coffeemaker, hanging locker, fridge, microwave, shower and vanity. 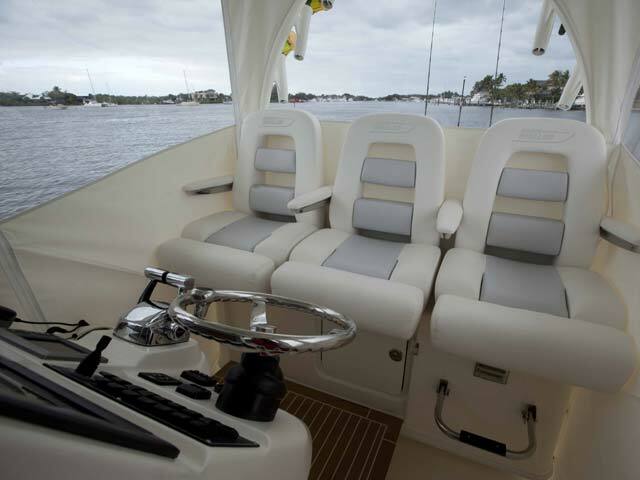 In other words, everything you need for recreation, entertaining or overnighting in complete comfort.